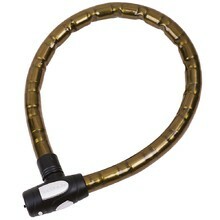 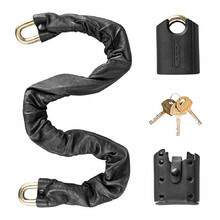 If you want to prevent your motorcycle from being stolen, a motorcycle lock is an obvious option. 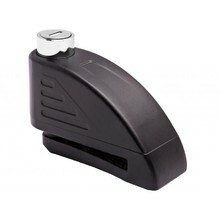 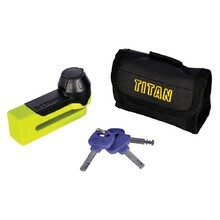 We offer mainly chain locks and locks for disc brakes. Segmented chain made of hardened steel, possible loop threading, fabric case. 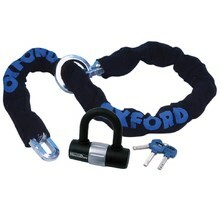 Sturdy two-position lock, made of hard and noble steel, practical case. 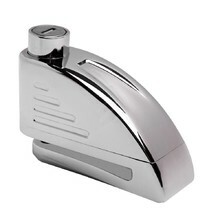 Alarm with strong acoustic signal, body made of zinc diecast, practical case. 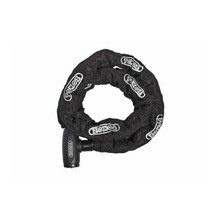 Link chain made of hardened steel, textile cover, locking mechanism cover.